In a digital world and information-sharing age, it can sometimes be hard to understand where privacy ends and what the real risks are. Everyone cares about their reputation, but many students don’t know that what they do online can impact their digital footprint, permanently. 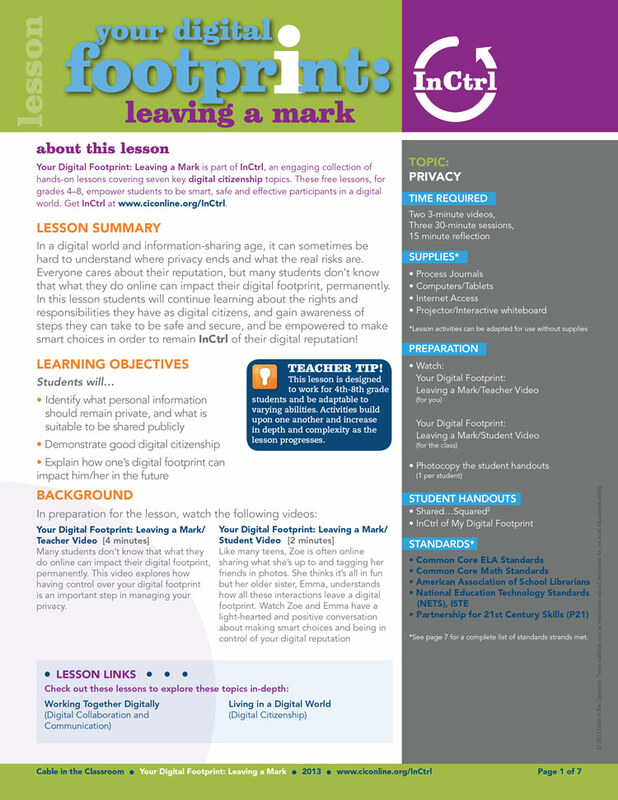 In this lesson students will continue learning about the rights and responsibilities they have as digital citizens, and gain awareness of steps they can take to be safe and secure, and be empowered to make smart choices in order to remain InCtrl of their digital reputation! Many students don’t know that what they do online can impact their digital footprint, permanently. 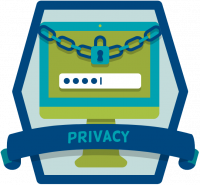 This video explores how having control over your digital footprint is an important step in managing your privacy. Like many teens, Zoe is often online sharing what she’s up to and tagging her friends in photos. She thinks it’s all in fun but her older sister, Emma, understands how all these interactions leave a digital footprint. Watch Zoe and Emma have a light-hearted and positive conversation about making smart choices and being in control of your digital reputation.